Package tour cost about 1200 pesos per person which includes van transfer and buffet dinner. We didn't book the tour and decided to DIY it. People in Puerto Princesa are friendly and it is best if you can find a trusty tricycle driver to take you back and forth and around the city. Tricycle hire is between 600 to 700 pesos to Iwahig and the paddle boat is 600 pesos good for 3 people. We hired two boats. From our hotel, our trusted tricycle driver came to pick us up at 5 pm. Took us to the city center where we had some snacks. I think we've reached Iwahig around 7 pm. We were received by Ms. Bing. She checked the log book for our booking and led us to the waiting area. Each of us was given a life vest for safety. Traversing in wooden stairs, we went down to the riverbanks until we reached the platform where the paddle boats are waiting for us. We cruised down the river in complete darkness with just the stars as our guiding light and our boatman as the tour guide. As we go deep into the river and our eyes get used to the darkness, we started to see the fireflies. It was a.ma.zing!!! Jaw-dropping amazing! Never in my life have I seen so many fireflies. They were like fairy lights glowing in every mangrove tree. So mesmerizing. Some trees have less while others were crowded by them. 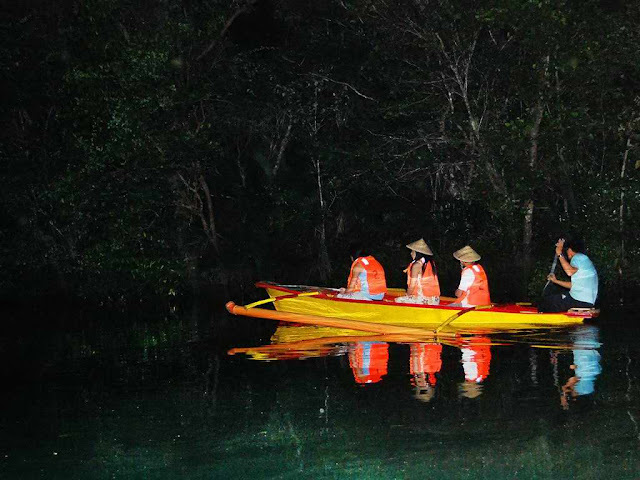 Whenever our boatman flashes a tiny red beam, they would all glow brighter in unison. The red light to them is like the predators' eyes so when they see one, they will all light up as a defense mechanism so as not to be intimidated by their predator. Flash photography is forbidden and it was actually way too dark to even have a decent photo using my phone camera. Then our boatman asks us to turn our eyes to the water. 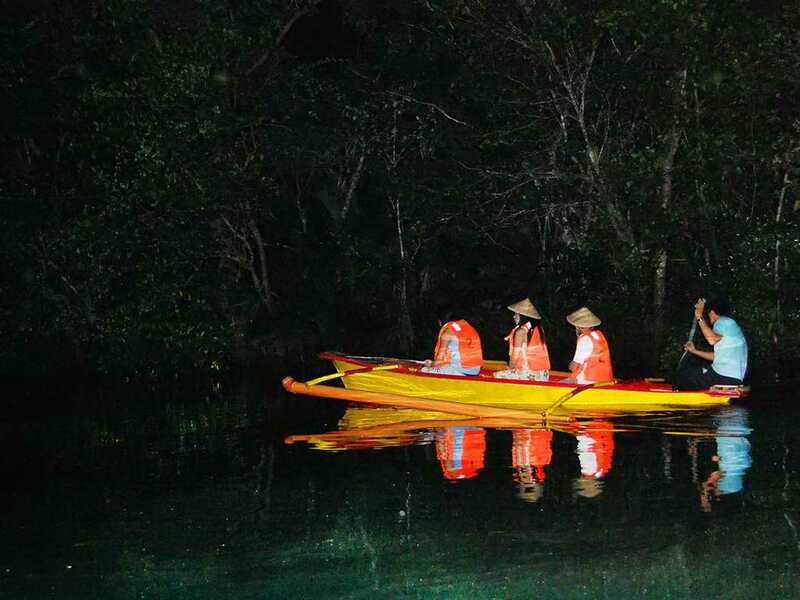 We were surprised to see that the water was also glowing every time he paddles. He explained that it was due to the presence of bioluminescent plankton. They illuminate when disturbed, a kind of defense mechanism just like the fireflies. I can't explain how pretty it was. It was truly magical and it feels like we were in a different world. You can think of Avatar. Then we move to the sky above us as our boatman started pointing to different constellations. It was so dark and without the light pollution, we could see so many stars. From the trees to the water and to the sky, everything was glowing. It was one helluva experience. Too bad I have no pictures to show you so you just have to see it yourself. All the more reason to visit Palawan right? The tour was about half an hour but believe me, I wish it was longer. We alighted the boat and back to the platform. Gave back our life vest and bid them goodbye. 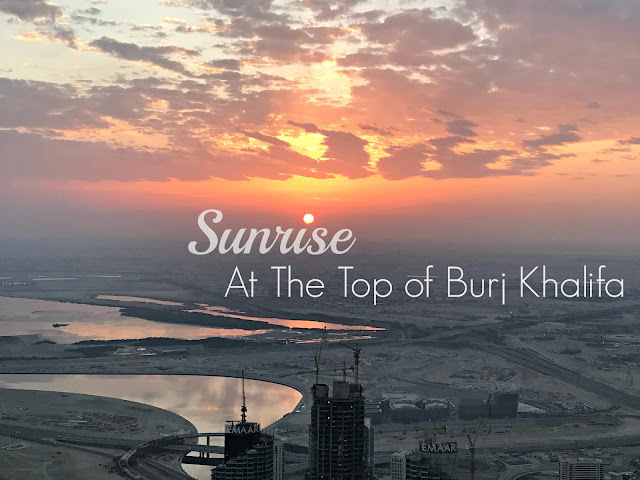 Armed with great experience and beautiful memories, we headed back to the city and went to Kinabuchs Bar & Grill for dinner. Kinabuchs is an open air restaurant and bar and is known for serving exotic dishes such as tamilok and crocodile meat. We were not in the mood for exotic dining that night. All we wanted was a proper sit-down dinner with good food and Kinabuchs delivers. There were lots of people that night but the place is huge and there were still many vacant tables. We were immediately led to a big table and menus were handed over. We gave our orders and in less than 10 minutes, our food was on the table. I promise it was the quickest food service I've ever had in a restaurant. It was good because we were really hungry. It was a long but fun and very fulfilling day. It was also very tiring. We had four activities squeezed all in a day and I am so proud of my two little explorers and my mother in law was all in for adventure enjoying every minute. The best way to end it was a family dinner with all the comfort food we could have. Everything was nice and fresh satiating our cravings. We were offered with sizzling crocodile but we politely declined. Oh you brought the memories of my childhood. I remember catching fireflies and keeping them in my bedroom at night. Wish my little one could see some too. It must have been a one of a kind experience! I've never actually seen fireflies, but would love to do this one day.